This post is being sponsored by Activia for my participation in this campaign. All opinions are my own. ***First of all, the winner from the last Activia giveaway is Kelsey (fitness_fanatic_007) who I emailed the details of her prize. I have been taking the Activia Challenge for about two weeks now! What this means is that I am eating Activia yogurt twice per day for 2 weeks. I have always eaten one yogurt a day on most days and sometimes two but now I am doing so more regularly. I have 1 for breakfast and another for a snack sometime throughout the day. My favorite is still the Activia Greek which is a Greek yogurt full of gut-healthy bacteria that can help with minor digestive issues. It is thick and creamy and has all of the benefits of regular Activia. It comes in 8 different flavors including vanilla, blueberry, strawberry, peach, tropical fruit, raspberry and cherry. I like the strawberry, vanilla and peach flavors best. 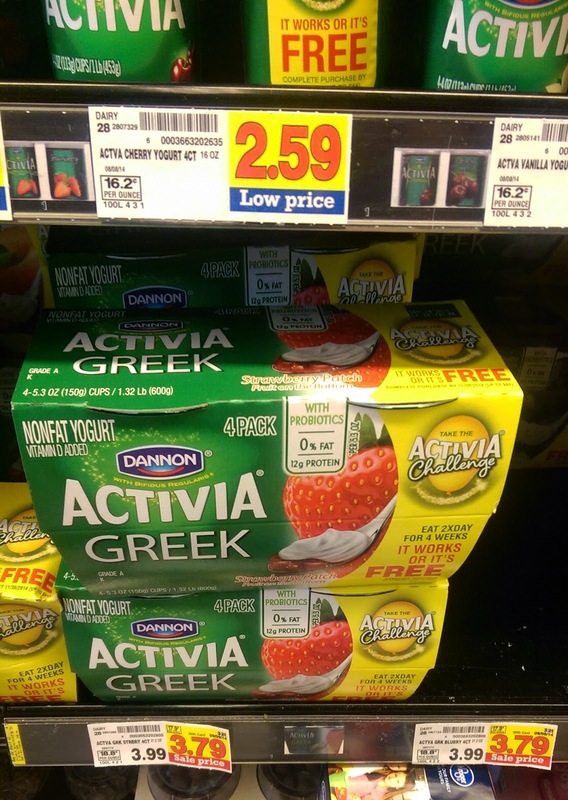 They also have Activia Greek Light that only has 80 calories which is offered in strawberry, blueberry, peach, cherry and vanilla. If you want a very low calorie, protein packed snack, this is a good option. Usually, I just have my yogurt plain but sometimes, I like to add different mix-ins such as cereal, granola, chia seeds or fresh fruit. My favorite has been adding blueberries or peaches to my Activia yogurt. Have any of you taken part of the Activia Challenge? If you have digestive issues, you may want to try this challenge. If you need help on the challenge, invite a friend to do it with you. This will help you to stay motivated and encouraged. Activia has many different varieties of their products including Activia Yogurt, Activia Greek, Activia Greek Light, Activia Smoothies, Activia Light Yogurt and Activia Fiber Yogurt. There is something for every kind of yogurt lover! One of the regular Activia yogurts that I really enjoy is the prune flavored one. I have always loved prunes and this flavor is tasty and good for you. -Workout and fit it in when you can. She says that fitting in little workouts through the day help keep you in a good mood throughout the day. -Pack in the protein such as with Activia Greek. -Make smart food choices- have lots of fruits and veggies. One winner will receive 10 full value coupons for Activia. The winner will be emailed and posted in my next Activia post.